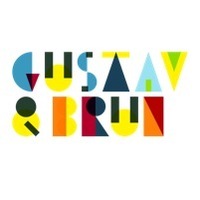 Gustav & Brun is a Swedish design studio founded in early 2008. Their main focus is hand drawn illustrations and graphic design. Since 2010, Gustav & Brun has focused on typography resulting in a number of different fonts.